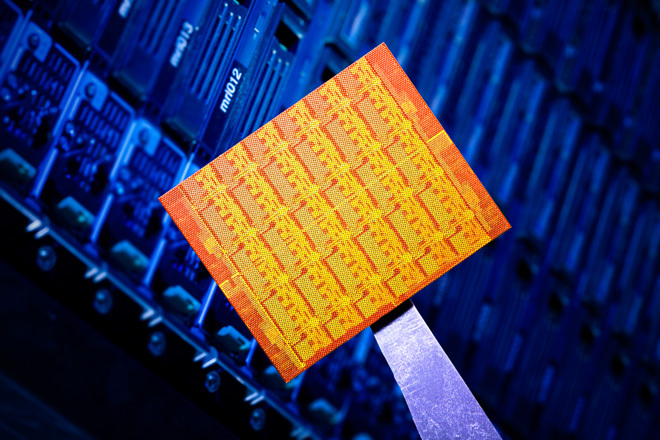 That’s the goal of Intel’s experimental Single-chip Cloud Computer project, or SCC. The company is now researching potential mobile applications for the chip, as well as developing tools that will make it easier for developers to take advantage of this technology without becoming supercomputing experts. Intel Labs technology evangelist Sean Koehl says that its 48-core creation, first discussed in 2009, acts as a “network” of processors on a single chip, with two cores per node. The nodes actually communicate to each other much the same way nodes in a cluster in a data center would. “We thought there may be some advantages to having an architecture within a chip that resembles the architecture around it,” he explains.